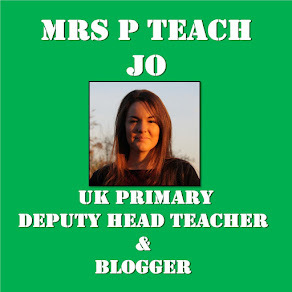 Having previously blogged about how I organised teaching time in my classroom, fellow edu-blogger, Jo, inspired me through her response to my post, to try her Time Teller of the Day idea. She explained how she had bought a simple watch which children wear to be the Time Teller of the Day. I thought this was a really easy thing to introduce to encourage children to interact with each other about the time. 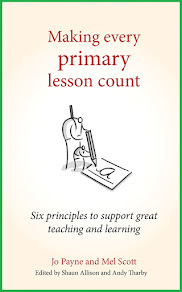 Full of inspiration, I set to starting this up in my classroom. The straps and links broke after a couple of months so I wouldn't recommend buying one of those. I have replaced them with two of these below. I went for the green one as that matches our school uniform. Click on an image to open the Amazon Link. Each morning, as part of registration, I choose two children to be our Time Tellers. 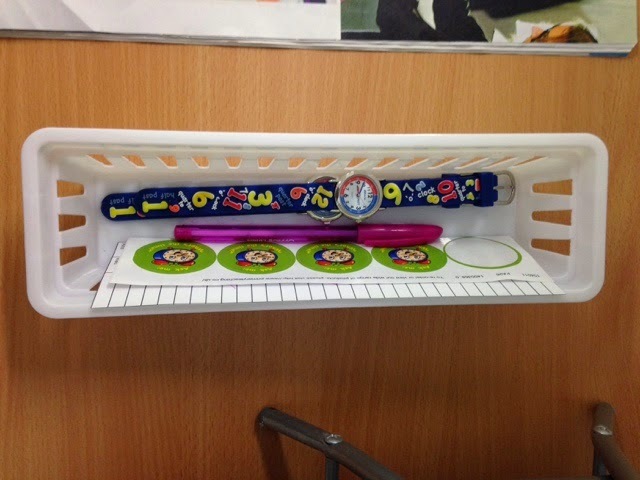 In the box which contains the stickers and watches, I put a class list on which I can tick them off as they get their turn. 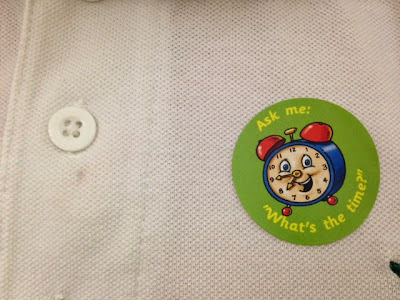 If they are chosen, they get a watch and a sticker and wear both proudly for the whole day. I started off with children opting to be Time Tellers and, after we'd covered analogue clocks in maths, it became more random. Since starting this, the most visible impact is children are now happy talking about the time and discussing the different ways of saying the same time. They love wearing the watches and are happy to have a go at saying what time it is. Children help each other and give hints and tips when others are struggling. 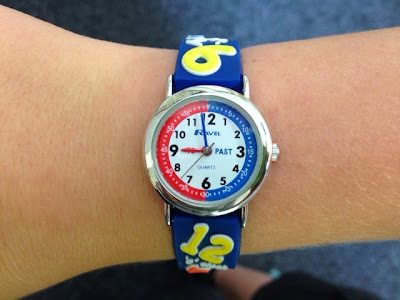 Other classes have asked what the time is and why they get to wear a watch so I think it might be something that could work across a school. As with most things in school, the enthusiasm children have gained from this has allowed them to improve in their understanding. Love the stickers! I've also ordered another watch - having 2 is a great idea.